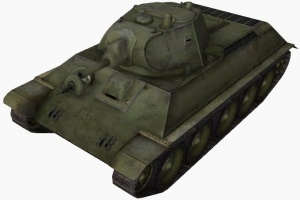 Der A-32 ist ein sowjetischer premium mittlerer Panzer der Stufe 4. Ein mittlerer Versuchspanzer. A-32 und A-20 wurden zur gleichen Zeit entwickelt. Beide Prototypen wurden 1939 gebaut und durchliefen Versuche, infolgedessen der A-32 eine dickere Panzerung von 45 mm erhielt. Der A-32 wurde für die Truppe übernommen und zum T-34 weiterentwickelt. Originally available as part of the game's Light Pre-Order Package. It was also briefly available from the Gift Shop before being withdrawn. 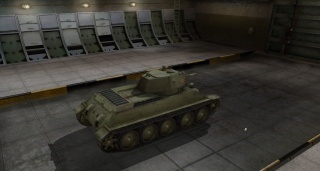 Classified as a light tank at the game's release, it was reclassified as a medium tank a few months later. It's basically an improved version of the A-20 that has more health, armor and a decent gun that has noticeably higher penetration than the A-20's stock gun. Even with these upgrades, it cannot win a head-on fight against a proper medium. Instead, it should be used as a scout tank. 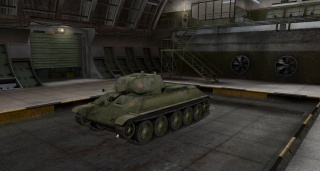 Presently this vehicle is only available for purchase on the RU server. 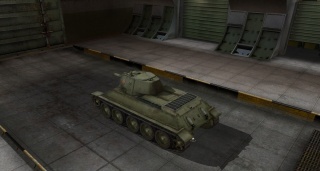 Due to the rather abysmal performance of the gun and poor view range, this tank functions well as a mid to late game brawler, cleaning up the wounded enemies. It also excels at close range drive bys, where your gun's inaccuracy is negated. Zoom by the enemies' flanks and derp their thinner side armor. It is not recommended to use the Premium ammunition due to its very marginal penetration boost. 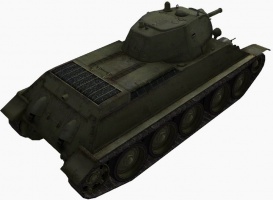 ==Production history of the T-34, A-32 being T-34's prototype== Koshkin convinced Soviet leader Joseph Stalin to let him develop a second prototype, a more heavily armed and armoured "universal tank" which could replace both the T-26 and the BT tanks. 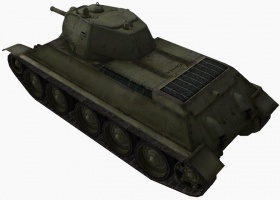 The second prototype Koshkin named A-32, after its 32 millimetres (1.3 in) of frontal armour. It also had a 76.2 mm (3 in) gun, and the same model V-2 diesel engine. Both were tested in field trials at Kubinka in 1939, with the heavier A-32 proving to be as mobile as the A-20. 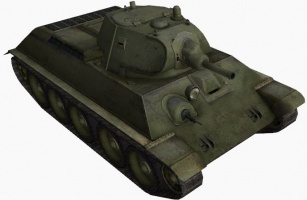 A still heavier version of the A-32 with 45 millimetres (1.8 in) of front armour and wider tracks was approved for production as the T-34. 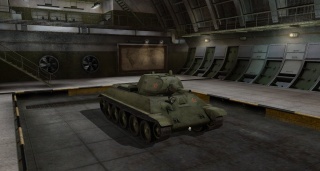 Koshkin chose the name after the year 1934 when he began to formulate his ideas about the new tank, and to commemorate the decree expanding the armoured force and the appointment of Sergo Ordzhonikidze to head tank production. Diese Seite wurde zuletzt am 25. Oktober 2016 um 14:28 Uhr geändert.